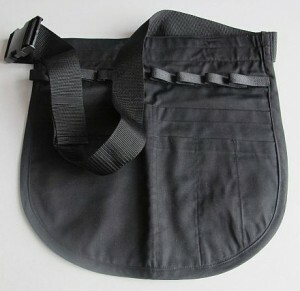 The “ALL NEW” Apron has an adjustable 2″ (50mm) waist strap so that it will fit snugly around your waist. 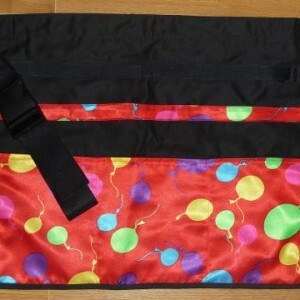 There are eight 3″ (75mm) Velcro straps for your balloons, with extra pockets at the front to hold accessories. Size, 14.5″ x 15″ deep (370 x 385mm) with one full size large back pocket, one half size front pocket and 4 small pen, scissors, cutters etc pockets. Will fit up to 60″ waist. SKU: medium apron coloured. Category: Aprons And Busking Bags. Tags: apron, balloon apron, modelling apron, twister apron. Share the post "Apron Medium, Multi Coloured"